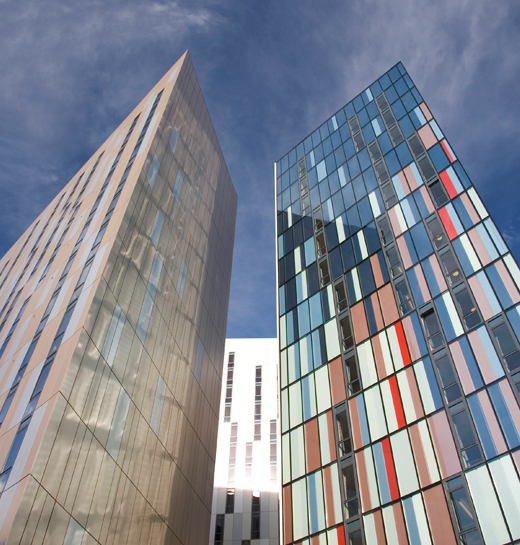 With Parkway Gate Downing has contributed three striking new buildings to the Manchester skyline, each with its own unique visual concept. The £40 million scheme was designed by Ian Simpson Architects and features a 729-bed student village and 5,000 sq. ft. of retail space. 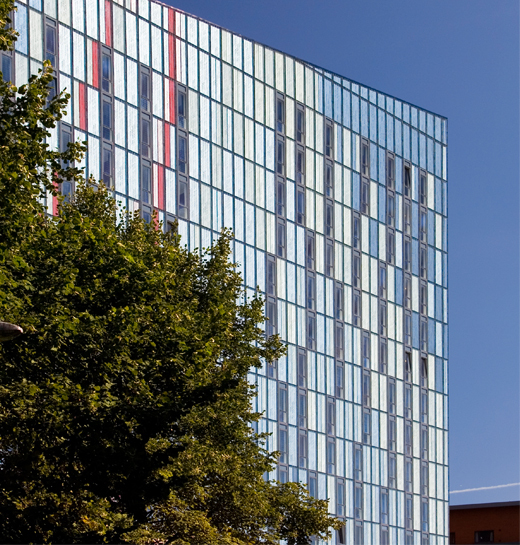 Situated at a key gateway into the city, Parkway Gate was developed in consultation with Manchester City Council to form a cornerstone of the vast First Street masterplan. Parkway Gate student housing development comprises of three blocks containing 729 en-suite bedrooms, spiralling in height from 13 to 17 storeys, creating a central courtyard for residents. The blocks are united at ground level by two glazed podium spaces containing the reception, management suite and a commercial space. 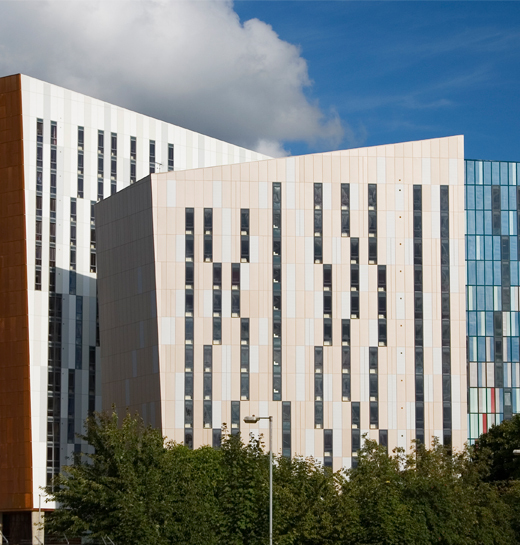 The outer facades of each block are clad in different contrasting materials giving each building a sense of individuality whilst the treatment of the courtyard elevations, the form of the buildings and language of the cladding unify the development. The development provides a landmark of high architectural integrity and sets a new benchmark in the design of student accommodation. This scheme was awarded by RICS North West Awards ‘Winner’ of the Best Residential Development. The RICS judges considered that architect (Ian Simpson Architects) and developer (Downing) had successfully set new standards for the provision of student accommodation.